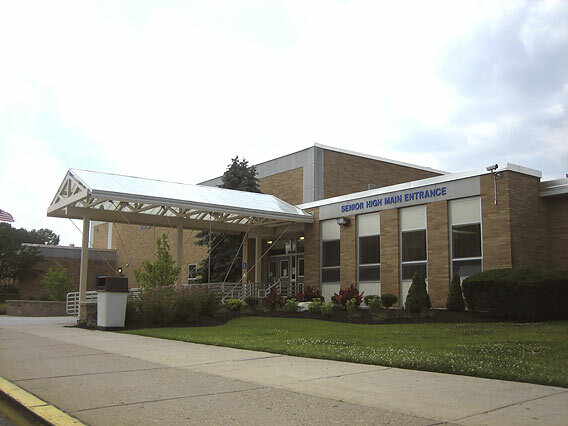 Welcome to the Eastern High School Alumni Association website supporting Eastern Regional High School in Voorhees, New Jersey. The Alumni Association was established to support the efforts of our high school and as a way for the alumni to network and give back to the community. You may have noticed that we moved from our old home page to this new site. We will have more creative control over this webpage and it will allow us to bring our readers more information about news and events in a timely fashion. We are also able to add pages to this site where we can showcase alumni owned businesses and link you to their websites so that we can support this community of former students. If you have news or events to share, you will be able to submit them to us using a button on the page. The Board hopes you will enjoy this site and will use it to find great information about "our old school". The Alumni Association website is brand new! We hope you will create a profile and use it to communicate with former classmates. Since the site is brand new, you will see lots of additions over the next few weeks and months. If you have information you would like added to the site, please email us at info@easternhsalumni.org using the convenient mail link at the upper left corner of the site. If you go to a different page on the site and want to return to the home page, simply click the Viking head and you will be brought back to the main page. We look forward to building a page that will serve our alumni community and look forward to all of your contributions! The Alumni Association meets quarterly. All alum are welcome to join us at the meetings. We are working on event planning, membership and fundraising. Anyone interested in assisting please join us at the meetings. ​Next meeting, January 23, 2019 at 7:00 pm. If you are local you can meet up with members at the high school in the Learning Center in the newer section of the high school (down by the main entrance). If you are not local, email info@easternhsalumni.org to get call in details for the meeting. ​Please come out and learn what you can do to give back to your school and community through the Alumni Association! ​We are still looking for new members and are looking for two volunteers to fill the positions of Member at Large. Please join us if you are at all interested! The Eastern High School Alumni Association was established to support the efforts of our High School and as a way for the alumni to give back.